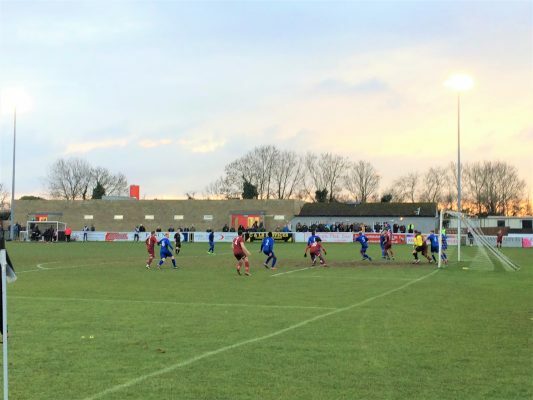 Canterbury City Football club have created history by winning today and on Tuesday they have another battle as they find out if their plans for a new stadium will be positive. The game today was played in front of the Lord Mayor of Canterbury and maybe he should come to every game, maybe as a lucky mascot. If you have been watching Canterbury this season you will know they never make things easy as they had to endure the final 15 minutes playing with 10 men when Chris Saunders was sent off. The game started with the visitors starting the quicker as in the 5th minute Abu Cisse tried his luck from 20 yards but Jack Delo saved it. Then against the run of play Canterbury scored when Chris Saunders 20 yards out shot in via the crossbar, this would turn out to be a funny old game for him ( goal & two bookings ). Five minutes later a ball forward saw Dean Grant race on to it & he beat the onrushing Michael Antkowlak to it but his flicked shot lacked pace & Mahmood Joma got back & cleared it. In the 25th minute Saunders through ball for Grant saw Antkowlak race out of his area & just beat him to it & hacked it away. Eight minutes later Saunders latched onto a half clearance but from 20 yards his shot went over the bar. In the space of two minutes Canterbury could & maybe should have been three up, firstly in the 35th minute Mobolaji Dawodu put Grant in but from an acute angle he scuffed his shot wide but in the very next minute Dawodu released Grant who raced clear & went round the advancing Antkowlak & slotted the ball into an empty net from 15 yards. With half time getting close Canterbury did not want to concede a goal, in the 42nd minute Nirvana had a chance to get one back when Cisse on the right cut in & shot but Delo saved it & then in the 44th minute a ball into the area saw Will Gonga’s overhead kick from 12 yards superbly tipped over the bar by Delo. Half time arrived & as stated part one of the two parts was going to plan. Nirvana came out for the second half looking positive & in the 55th minute they nearly got a goal back when Dean Master’s cross to the near post saw Gary Sayer divert it goal wards & again Delo to the rescue as he pushed it around the post what a let off. 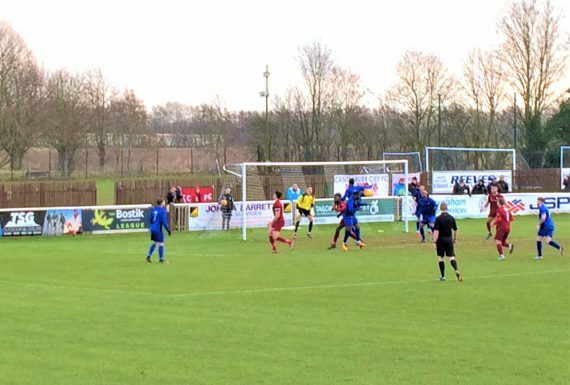 Four minutes later they did score when Cisse on the right saw his low cross swept in by Adam Swain from 5 yards. There were 30 minutes to go & it a few nerves around the City players as in the last round they conceded a two goal lead. Nirvana were now pressing for the equaliser but this would leave some gaps at the back & in the 78th minute Grant on the right flicked the ball into the path of Dawodu whose low cross to the back post saw Woollcott sliding in under pressure put the ball wide of the post. 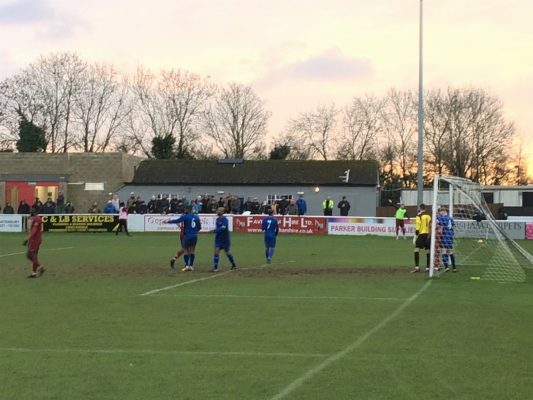 In the 81st minute disaster struck for Canterbury when a flowing move started down the left saw Saunders racing into the area, fall over & in the mind of the referee he booked him for diving & this was his second booking. This was now backs to the wall stuff as Nirvana tried to get the equaliser but the best two half chances went City’s way when firstly a fee kick to the back post by Woollcott found Jordan Casey but he headed over then in the 2nd minute of added on time a corner was half cleared & eventually fell to Ollie Lee but he volleyed over from 12 yards. The final whistle went & relief went round the ground & now they wait to see who they draw in the quarter finals. Pictures supplied by Tony Wicker. 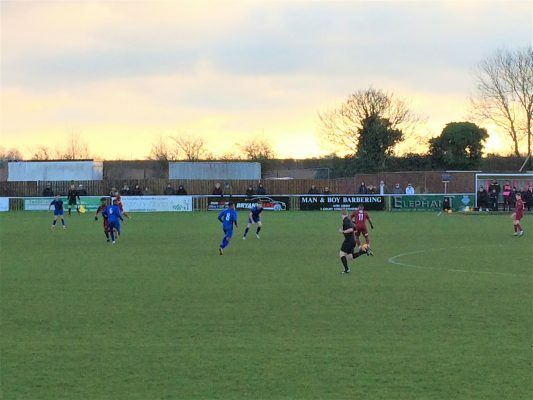 This entry was posted	on Saturday, February 2nd, 2019 at 4:52 pm	and is filed under Featured, Football, Non-League Football. You can follow any responses to this entry through the RSS 2.0 feed. Both comments and pings are currently closed.